Netflix investors have filed a class-action lawsuit against the movie service, claiming that the company misled them about earnings prospects after the company’s stock took a nosedive during the second half of 2011. Files in the U.S. District Court of Northern California by the City of Royal Oak Retirement System the lawsuit looks to represent individuals who purchased Netflix stock from Dec. 20, 2010 through Oct. 24, 2011. The plaintiffs claim that Netflix provided “materially false and misleading statements regarding the company’s business practices and its contracts with content providers” while at the same time concealing negative business trends that had already been discovered by the company. Also named in the lawsuit is Netflix Chairman and CEO Reed Hastings who has admitted to bad business decisions throughout 2011. Following him is CMO David Wells, Chief Content Officer Ted Sarandos, Chief Product Officer Neil Hunt and CMO Leslie Kilgore. According to the lawsuit Netflix artificially inflated it’s stock prices through false reports which in turn pushed the company’s stock to $291.27 per share. Upon increased prices Netflix executives then sold 338,661 shares of Netflix stock for a profit of $90.2 million. At the heart of the lawsuit investors claims that Netflix failed to inform them about the increasing cost of short-term contracts that Netflix needed to secure from providers along with the decline of subscribers. In the meantime securities specialists have repeatedly said off the record that investors will face an “uphill battle” in providing that Netflix intentionally misled investors. However that is hardly the case, if investors see lawsuits flooding into the company it could potentially mean less interest in the company overall. 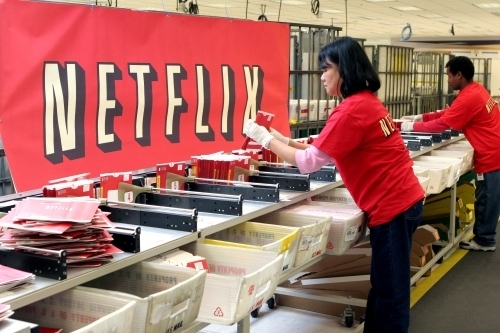 According to a Netflix spokesperson the company will not comment on legal matters.